Save 100% on stress with the best chair massage in Denver. ** If your event is outside the Denver metro area, call for a quote. 1: CONTACT US Fill out the contact form or give us a call at (720) 468-6079 to talk to someone about your needs. Where Can We Bring Chair Massage in Denver, CO? Anywhere! 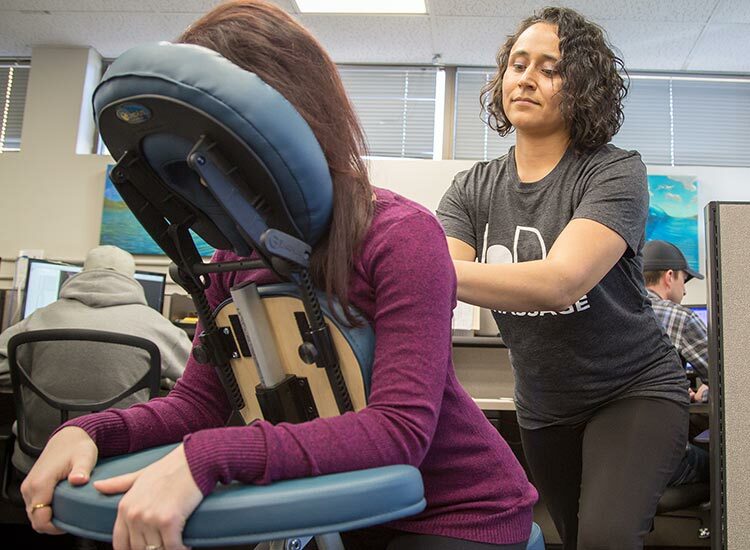 Whether you're looking to recharge your employees with office chair massage, attract clients at trade shows, or amaze guests at your next party, our staff is ready for action! The Mile High City is the perfect place for anyone who loves to balance work and play for optimal health. Like you, our Denver team is passionate about doing great work while making time to take advantage of 300 days of sun to hike, bike, and ski through the Rocky Mountains. 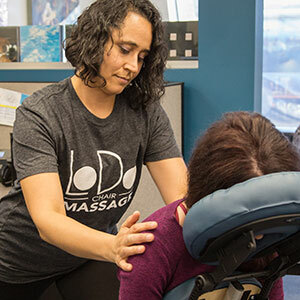 LoDo Chair Massage got its start in the LoDo Business District and today our therapists travel all over Denver sharing their knowledge of bodywork in startups downtown to medical suites in Cherry Creek to offices in the Denver Tech Center. Local Denverites may also be familiar with our five-star rated massage studios in RiNo and the Highlands. Call us at (720) 468-6079 to plan your chair massage event in the Denver metro area and even as far north as Boulder and as far south as Colorado Springs. Our therapists are available in the Denver, CO metro area for weekly, biweekly, monthly, or quarterly visits. We also offer package discounts for large events, repeat customers, and referrals. Call for a chair massage at your workplace in Denver, CO. Please reference our client list to see who we've worked with. 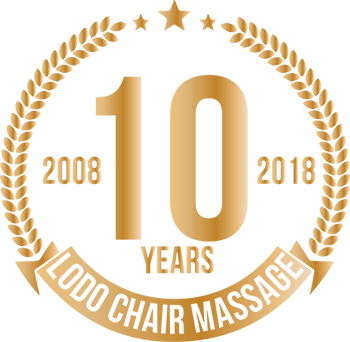 Ali is a chair massage therapist in Denver, CO.
Alicia Copeland is a Licensed Massage Therapist with a background in health and fitness. She received her training and education from the Berkana Institute of Massage Therapy. Alicia is dedicated to delivering top quality service, consistency, and leaving her client's in a state of relief and relaxation. "My number one goal is to help others feel amazing through a fusion of therapeutic and self help techniques. I understand the body's needs to relax, repair, and recharge." On a personal level, Alicia received her Bachelor's degree in Architecture from the University of Virginia. Her love for children put her on a path to also become a nanny. When Alicia isn't working with children, you can find her in the gym or bowling alley. She lives an active lifestyle so she understands her clients needs to find balance within their lives and body. 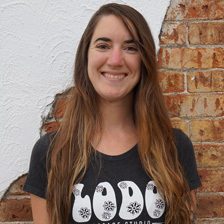 From creativity to design, Alicia is a Body Architect ready to design a plan to help with your body's needs! Alyssa has been a licensed massage therapist for 3 years. She graduated from Denver School of Massage Therapy in 2013. She absolutely LOVES being a massage therapist, and loves being able to help people heal. 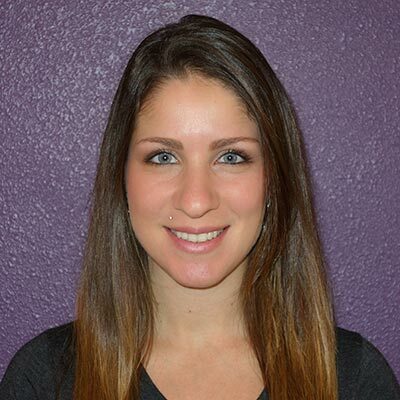 Alyssa specializes in Swedish, deep tissue, reflexology, trigger point, hot stone, and pre-natal. She is also certified in infant and children massage. Alyssa loves skiing during the winter time, and hiking with her dog in the summer time! Amanda has been practicing massage since January 2013, after graduating from the Denver School of Massage Therapy in 2012 with a 4.0 GPA. She can customize a session tailored to your needs; so whether you need to drift into a state of relaxed euphoria or you’re looking to eradicate those pesky trigger points, she’s your gal. She especially loves working with mothers, as she is heavily involved in the world of birth. Not only is she a birth & bereavement doula, but she also leads support groups and retreats for pregnancy and infant loss. While Amanda works full time with the LoDo Chair Massage corporate team as Therapist Coordinator, she still has a deep love for massage and enjoys picking up weekend gigs. In her spare time, you can find her spending time with her husband and kids, hiking, practicing yoga, and exploring all that life in Denver has to offer. Ann is a Licensed Massage Therapist and a 1998 graduate of the Boulder College of Massage Therapy. She specializes in pain relief using a variety of techniques in a customized massage that delivers deep but gentle pressure. She uses various techniques to encourage unwinding of soft tissues and holding patterns while helping to engage the body's relaxation response. "I love my work and enjoy seeing my clients leave their session feeling care for, relaxed, refreshed, and free of pain." Anthony is a Licensed Massage Therapist who graduated from Medical Massage International. He wants people to reach their full potential, and he believes this can be achieved once the body and mind begin to heal. Injuries not only come from external forces but also from internal. Anthony will help the patient understand where the trauma is originating from and why. After carefully listening to each client’s goals for the massage, he co-creates a treatment plan that will meet those goals. He especially enjoys working with clients who want to improve themselves physically and mentally. After receiving her first massage post operation, April learned how entangled the mind, body, and spirit are. She has dedicated her work to educating, empowering, and promoting healing. She does everything from light to deep, and she really enjoys working with chronic pain clients and athletes. April also specializes in sports and TMJ massage. Ashley is a Licensed Massage Therapist who graduated from the Institute of Business and Medical Careers in 2009. She loves to help people and make them feel amazing. During the massage, she not only listens to the client, but she also listens to what the client's body needs. She incorporates different modalities, maximizing the effects of each session. If you like someone with a strong touch or just a relaxing session that puts you to sleep, Ashley's your therapist. An east coast transplant of 7 years, she grew up in Columbia, MD and completed her education at the Baltimore School of Massage in 2005. Rebecca's massage style is steady, firm flowing, and intuitive. She's a great match for those who want to relax but also have specific focus points. 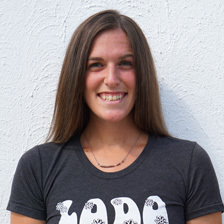 She lives in Boulder, CO and spends her free time biking, hiking, and organizing community events. Betty has a natural healing touch, years of experience, and she specializes in many modalities. However, she is most requested for her skill with everyday tension, lifelong issues, injuries, and even athletic maintenance. She has a relaxing therapeutic touch, and a knack for finding the areas that need to be worked. 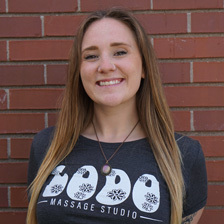 Brittanie moved to Denver to attend the prestigious and comprehensive Massage Therapy certification at the Berkana Institute of Massage Therapy. She graduated with honors and was then selected by the school founder to assist classes, in an ongoing elite apprenticeship Mindful Expressionism specialization program. She learned Mindful Expressionism, as an apprentice with the originator of the modality, specializing in treatment for TMJ dysfunction ( including intra-oral work) and specialization for Lumbar complaints. Fascinated with holistic health, she focused on how she can better listen to and connect with her clients to support them with their holistic integration. Brittanie approaches bodywork with an artistic perspective while grounded in the health sciences. 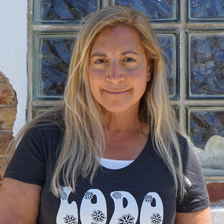 She mindfully integrates the various modalities, customizing treatments specifically for each client, and inspiring natural healing and holistic balance for her clients. Brittanie is also a trained Yoga Instructor, having attended a yoga teacher training in Denver, CO. With a commitment to living a holistic lifestyle, Brittanie incorporates an Ayurvedic approach into her daily health routines. 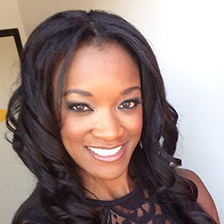 A bodyworker passionista, she continually pursues opportunities to study various modalities and techniques through mentorship programs. 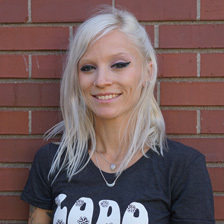 Brittanie is an avid rock climber and hiker and recharges her soul with live music and friends. Courtney is a Licensed Massage Therapist, Certified Yoga Instructor, and a graduate of Massage Therapy Institute of Colorado. Medical massage, Pain Management, and Sports Therapy are her special areas of interest, but she is dedicated to the needs of any human body that needs love and relaxation. MODALITIES: Myofascial Release, Sports, Deep Tissue, Acupressure / Trigger Point, Cupping, Neuromuscular, Swedish, Visceral, Craniosacral, Access Bars, PNF Stretching, Joint Mobilization, Thai, Raindrop Therapy. 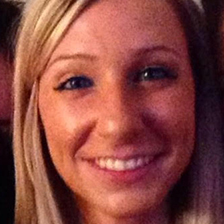 Dana has been doing massage since 2008 and graduated from The New York Institute of Massage in Buffalo, NY. She specializes in treating people with chronic pain and general wellness. 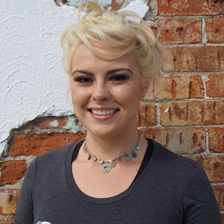 Dana has been in Colorado for just over 1 year and is excited to be a part of LoDo Chair Massage. 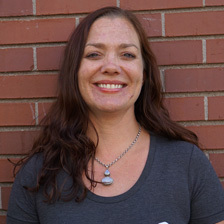 Diana is an LMT, graduate of the Massage Therapy Institute of Colorado, a Reki Level Master III (ART) practioner and Craniosacral Therapist, CS1 and 2, Upledger Institute. Before finding her home at Lodo Massage, Diana worked at the SCI Recovery Project in Thornton. Here she used a combination of Myofascial Release and Reiki to help patients with spinal cord injuries. Diana has also worked at The Body Mind Energy Center and Cynergy Chiropractic in Denver. 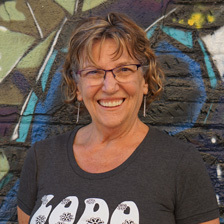 Diana's lighthearted yet grounded nature, combined with her life wisdom and empathy allows her to connect with people on a deep level. When not working, Diana spends most of her time hiking with her dog, Anouk and connecting to nature. 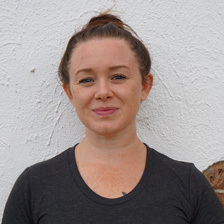 With near a deacde of dedication, Durea has remained just as passionate about bodywork as when it first began to shape her life and the person she has grown to become. Two separate degrees from the Myotherapy Institute and the Colorado School of Healing Arts have helped pave the road to massaging her way around the world, working in numerous arenas. The magic of touch, the people she meets along the way, and the opportunity to aid in the healing of others have provided endless inspiration. Durea is forever grateful for the relationshpi she carries with the work she does and hopes for many years to come. Dyanna is a therapist of 8 years. She takes bodywork seriously and enjoys working to solve the puzzles her clients present her with. Her style is a blend of cranial sacral, reflexology, stretching, and neuromuscular techniques. She loves to provide an intensely effective massage that is also deeply relaxing. She can provide deep work, but does not operate with a "no pain no gain" philosophy. Dyanna has many interestes and hobbies. Painting, enjoying her family, and walking around the lake with her dogs are a few of her favorite things. Elycia graduated form the Colorado Institute of Massage Therapy in December of 2017 with a focus on neuromuscular therapy. She specializes in sports massage, deep tissue, trigger point, and is in the process of becoming ashiatsu certified. In her free time, Elycia enjoys hiking, running, practicing yoga, and painting. 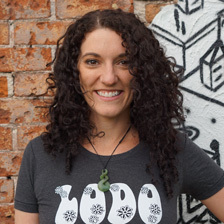 Erin got her 200hr RYT certification in 2009, but not having felt complete in her bodywork education, she found herself in massage school shortly after. She got her associates degree in Occupational Therapy, and became a licensed massage therapist in 2011 in Long Island, NY. She practiced there for 6 years before moving to Glenwood Springs, CO. After a year of practicing in the mountains, she is ready to improve the health and wellness of the people in the beautiful city of Denver. She has an adaptive and intuitive deep flow in her massage techniques that focus on the structural and muscular well being of the client, while taking them to a deep meditative state. Hanna is an alignment-focused, Licensed Massage Therapist who aims to help clients get their bodies to move more freely with less pain. Hanna's massage style and experience especially benefits those who love to push their bodies with an active lifestyle and those looking for help in healing from automobile injuries or other injuries. She believes complementary health fields, such as massage, can be a highly beneficial addition to improve your mind and body as a whole. Janette graduated from the Boulder College of Massage in 2000 and has practiced in numerous settings - corporate, spa, medical offices, and private practice. She found her calling in a Pain Management Clinic working alongside doctors and a yoga therapist. Within the practice, they met weekly on clients, discussing the previous week's sessions and building a comprehensive treatment plan for the following week. In her private practice, Janette likes to take the same approach by understanding what the clients acute and chronic symptoms are, what their long-terms and short-term goals are, any concurrent therapies, and results of their last session in order to make a plan for the current session. By helping her clients understand their issue, they can move from a place of pain or discomfort to a place of increased comfort and mobility. Whether you're interested in a relaxation massage with no specific complaints or you've come to address a specific problem, her goal is to help you leave happier and healthier than when you arrived. Jason is a Licensed Massage Therapist who graduated from Cortiva Institute - Boston in 2010. When Jason isn't healing people through massage and bodywork, he is training for triathlon full-time. 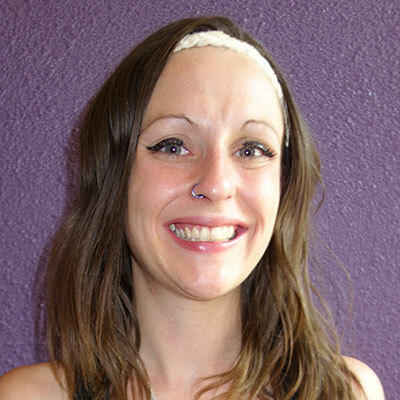 Jessica graduated from the Colorado School of Healing Arts in June of 2017 as a Licensed Massage Therapist. During the 700 hour program at CSHA, she studied modalities such as Swedish, Deep Tissue, Neuromuscular, and Sports. Jessica also completed a specialty certification in pre-natal massage to honor her love and admiration of the divine feminine. She is unique as a practitioner in that she is extremely knowledgeable and skilled at facilitating healing of physical ailments but is also extremely aware of the energetic body and the healing effects of caring touch on the nervous system. Jessie spends most of her free time in school for nursing and with her Bloodhound Vern. She also loves to travel, go to concerts, hike, do yoga, and laugh a lot! Kalindi has been interested in Natural Health and Alternative Healing from an early age. She made her first magical potion; a mixture of mud, grass and dandelions; in the backyard of her childhood home. Next, she poured it out at the base of a tree and a 4 foot hybrid dandelion plant appeared a few weeks later. Kalindi's passion for healing sprouted from that moment. She has studied Herbology and made her own medicines, completed 3 levels of Reiki, taught Reiki classes, trained and became certified as a Hypnotherapist, obtained a BA in Contemplative Psychology from Naropa University, received Massage Therapy certification from MTIC in Denver and has been training with The Way of The Heart for 13 years. Kalindi is entering her 9th year of Massage Therapy. She combines multiple modalities customizing her sessions for each client. Using her intuition and skill she will find your tight spots and massage them away. A client once told Kalindi, "It's like your fingertips have eyeballs." Modalities include: Swedish, Deep Tissue, Neuromuscular, Joint Range of Motion, PNF stretching, Reiki, and Guided Visualization. Kalindi's favorite color is turqouise, she loves a good joke, dancing, and peaches. A little secret: she still enjoys swinging. 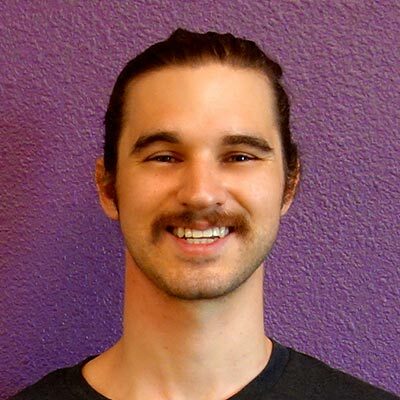 Keith graduated from The Denver School of Massage Therapy in 2014 and has since dedicated his practice to helping others relieve persistent aches and pains, as well as, achieve fitness goals. He consistently delivers quality massages with Swedish, Deep Tissue, Trigger Point, and Sports Massage techniques combine with an extensive knowledge of anatomy and human movement. By living a healthy and active lifestyle, he knows firsthand how life can make our bodies feel; therefore, he also knows how to make you feel better. Keith is dedicated to making you feel better whether you spend all your time at a desk or you find yourself living in the gym and anything in between. He is certain that his massage techniques will bring entirely positive results. 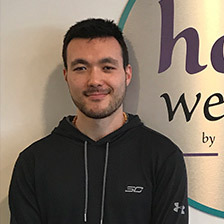 Kinan graduated from the Integrative Massage School in the Spring of 2015 having studied and focused primarily on Thai Yoga Massage, Myofascial, Swedish, and Trigger Point Therapy. After receiving his license later that year, he worked at LoDo Massage Studio for close to 2 years, integrating his studies with the practice of Deep Tissue massage and corporate chair massage. Since then, he's been working privately to continue incorporating a blend of Western techniques (Advance Myotherapy & Sports Injury Treatments) with Eastern techniques (Shiatsu & Acupressure) and vibrational energy medicine (Reiki & Craniosacral Therapy). Kinan is now expanding his healing toolkit to include Lymphatic Drainage, Sound Healing, & Intuitive psycho-somatic techniques that facilitate emotional transformation, re-alignment, and balance within the body-mind-heart-spirit. He's passionate about human potential and empowerment and is a practicing Astrologer and Personal Transformation Coach. He is also a certified Herbalist and has been trained in over 1000 hours of Ashtange Yoga with master B.N.S. Iyengar. 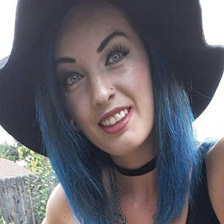 Kylie is a massage therapist who specializes in many different types of modalities that are suitable to your needs such as Swedish, Structural Bodywork, Shiatsu, Relflexology, Hydrotherapy, Sports Massage, Russian Sports Massage, Cranial Sacral Therapy, Acupressure, and Raindrop Therapy. Her favorite massage to give is a mix of Cranial Sacral and Raindrop Therapy, and she also teaches yoga. Kylie graduated from the Denver School of Massage Therapy in 2015, and she has an ever growing passion for helping others. Lana was born and raised in Brazil. Her background as a dancer and dance instructor strongly influences her approach to bodywork. After exemplifying a deep understanding of anatomy, kinesiology and physiology, she was awarded a Bachelor of Science degree in Exercise Science in 2006. After graduation, Lana moved to Australia to study massage and fitness at The Australasian College of Natural Therapies. In 2009, she came to America to pursue a career in massage therapy, and has been practicing since then. She is certified by the FSMTB, and licensed by the State of Colorado. Lana utilizes her experience with movement, combined with massage techniques such as DEEP TISSUE, SWEDISH, TRIGGER POINT THERAPY, SPORTS MASSAGE, HOT STONE, REFLEXOLOGY, AND MANUAL LYMPHATIC DRAINAGE. She also has experience with BODY POLISH, BODY WRAP AND VICHY SHOWER TREATMENTS. Her massage provides a unique bodywork experience. In her spare time, she works as a personal trainer and loves to spend time dancing, exercising, and doing yoga and Pilates. Linda has a background in accounting and became an energy worker in 1994, never dreaming of becoming a massage therapist. She is a Reiki master and am certified in Jin Shin Jytsu and attended massage classes in 1995 while living in Chile where she began giving massage. She enjoys spending time with her grandkids, camping, cooking, and traveling. Lucy graduated from Mount Nittany Institute of Natural Health in 2006. She works hard to be the best in her field and is enthusiastic in continuing to learn and grow as a massage therapist. LUCY SPECIALIZES IN DEEP TISSUE, SPORTS MASSAGE, MEDICAL MASSAGE AND PRE-NATAL MASSAGE. In 2007, Lucy moved to Colorado from the east coast and has called it home ever since. In 2013, Lucy spent the year abroad in New Zealand. While there, she worked at one of the best spas in New Zealand / Australia catering to high end clientele from all over the world. In her spare time she loves to see live music and comedy shows, hiking and camping with her husband and corgi, Moose. She also loves to paint abstracts and make mosaics. She feels so lucky to have found her calling in life and looks forward in growing in her field as a massage therapist. 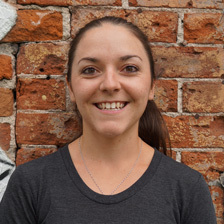 Lynsey is a holistic minded massage therapist with a passion for health and wellness. She graduated from the Texas School of Massage Therapy in 2012 and is passionate about continuing education. She specializes in offering highly effective massage to enhance mobility and flexibility while decreasing strees to ensure clients are successful in their daily lives. Her training includes ashiatsu, trigger point therapy, sports massage, deep tissue massage, Swedish massage, pre and post-natal massage, chair massage, hot stone massage, and more. Maddie is a Montana School of Massage graduate with 8 years and counting of experience. She likes to incorporating relaxing Swedish strokes in with deep tissue and trigger point work. She works with a lot of clients who experience upper back/neck pain, lower back pain, sciatica, piriformis syndrome, and hip pain. Living a healthy, active lifestyle allows Maddie to better understand injuries and preventative care. 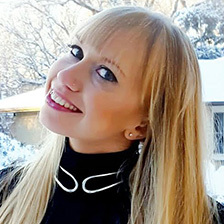 Maja was led to the world of massage through a passion for holistic health and a strong belief in the mind/body connection. She has experienced first hand the healing and pain relieving benefits of massage therapy and loves to offer this healing to others. She offers Swedish/relaxation, deep tissue, neuromuscular/trigger point therapy, myofascial, prenatal, sports massage, cupping, and chair massage. Maja also likes to incorporate essential oils and sound to assist in the healing process on a deeper level. I was born and raised in Estonia- it's a tiny country in Northern Europe. I studied Landscape Architecture in college but after graduating in 2009 I decided to travel and explore, what world has to offer. I Ended up in the United States and fell in love immediately. I did a lot of hiking and camping in different natural parks, I was also living in England for a little while, visited Canada, Thailand and Italy. I finally ended up in Colorado in 2015. It's hands down my favorite place to live! I Love the mountains and the snow, I love skiing (I actually grew up cross- country skiing), hiking, working out at the Red Rocks, running and yoga. I have ran 3 half marathons and running the full one is one of the goals of mine. I knew I wanted to study massage therapy when I visited Thailand. I studied at the Berkana Institute of Massage therapy, which was one of the best decisions that I have ever made. My style is a combination of Swedish/Deep Tissue. Each person is different and I like to incorporate techniques and stretches from modalities like Thai, Zero Balancing, Shiatsu, Sports Massage and Myofascial Release to create a unique experience for each and every client of mine. Michael recently received his degree in exercise science from Virginia Commonwealth University. He has been a body worker since being certified in 2010. His approach to massage therapy is simple and straight forward, and he focuses on providing the most effective and long lasting therapy to his clients. 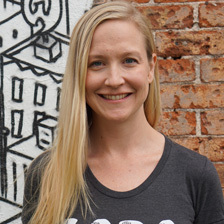 Molly graudated from The Lauterstein-Conway School of Massage in Austin in 2008, and continued her studies there first as an assistant and eventually gained her instructor's license. Her curiosity for the physics of the body guided her into the therapeutic and myofascial arena. Paired with a passion for the energetic connectivity of us all, her sessions have been described as "wildly intuitive". Molly encourages a conversation between her work and the client's body/mind response. "She worked patiently while encompassing me as a whole. I left feeling fully embodied and refereshed from the depths to the extremeties." After a decade of work, Molly's practice has included success working with: sciatica, plantar fasciitis, ACL tears, hunched shoulders (hyperkyphosis), muscle adhesions, psoas restrictions, pain associated with degenerative disc disease, scoliosis, frozen shoulder, neck discectomies, and spinal fusions. Her clients range from runners, cyclists, and climbers, to those doing recovery work from injuries, to those combatting the stiffness of sitting at a desk all day. Beyond the physical realm, Molly has expanded her energetic work through Reiki I & II training, aiding clients to acknowledging and releasing internal trauma and blockages. Her repertoire also includes Swedish, Sports, Deep Massage (the Lauterstein method), reflexology, myofascial release and she was runner-up ni the Austin Birth Awards in 2013 for best pre-natal therapist. Molly continues to study in both structural and energetic practices to bolster her work and broaden her spectrum. Naomi has been practicing massage for 8 years. She became a therapist because it was a childhood dream. She loves what she does and can't imagine doing anything else. Naomi never believes dreams are ever too far out to accomplish. Nikki began her career in caring for people as a Home Healthcare Nurse. For 5 years she nursed patients with ailments including MS, heart disease, and quadriplegia. In 2006 Nikki attended the Collinson School of Therapeutics and Massage in Colorado Springs receiving 1000 hours in a year. She continued her education with a Medical Massage Certification from LMT Success Group. Her work experience includes both spas and chiropractic offices. 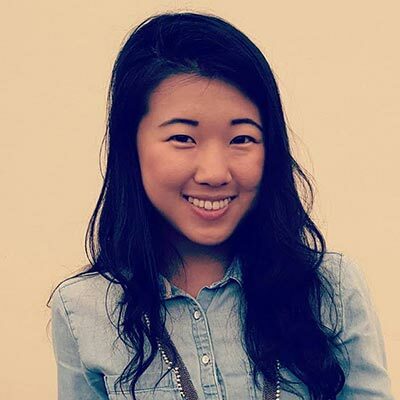 In her spare time Nikki enjoys the outdoors with her dog going on hikes and to the dog park. She has picked up snow shoeing as a hobby this year. MEDICAL MASSAGE: Performed with the intent of improving conditions or pathologies diagnosed by a doctor. CRANIAL SACRAL THERAPY: Gentle, non-invasive form of bodywork that addresses the bones of the head, spinal column, and sacrum. DEEP TISSUE: Deep pressure is applied to benefit chronic muscle tension. PNF STRETCHING: A set of stretches used in a clinical environment to enhance both active and passive range of motion. HOT/COLD STONE MASSAGE: "Thermotherapy" includes hot or cold stones to enhance you massage session. Heat for deeper tissue penetration, cold for decreasing inflammation. SPORTS MASSAGE: Alleviates stress and tension which build up in the body's soft tissues during physical activities. Reduces injuries, alleviates inflammation. Including but not limited to stretching and deep tissue massage. AROMATHERAPY: The use of essential oils penetrates the air and body to enhance a feeling of well-being. PRE/POST NATAL MASSAGE: Focuses on relaxing the expectant mother of sore or tense muscles. 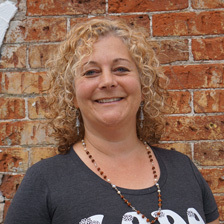 Paige possesses a highly intuitive, mindful, and thorough approach to her bodywork. She carefully listens to the body in order to effectively communicate with it. Combining her knowledge of muscle specific trigger point therapy techniques and myofascial release, she blends in deep flowing Swedish massage, providing a session that is both relaxing and effective. Facilitating gentle structural shifts to the body's alignment, she specializes in providing relief with clients who have headaches as well as chronic discomfort in the head, neck, and shoulders. While her style is very detail-oriented and specific, Paige believes massage doesn't have to hurt to be effective. By focusing on each guests sense of comfort and relaxation, she uses energetic balancing techniques such as craniosacral therapy, acupressure, Thai massage, and Shiatsu to achieve deep tissue results without the pain and discomfort. Her massage is highly integrative and specialized to the client's goal and specific needs. Providing a balanced session that is both grounding and relieves all types of pain. Rachel is a licensed massage therapist since 2016 and graduated from the Berkana Institute of Massage Therapy. She believes that the time on the table belongs to you and is here to help you achieve your goals. Rachel loves the transformative power of massage and how it promotes wellness for the WHOLE you. Knowing that every person brings in different situations, injuries and complaints each session is individually crafted and tailored to specifically meet that clients needs through a therapeutic yet relaxing approach. Rachel is a Licensed Massage Therapist and Esthetician who graduated from the Institute of Beauty & Wellness in 2007. She is focused on a holistic, natural approach to healing, and has an integrative style of deep work. Rachel customizes every session to make sure it fits each individual’s needs. She loves learning and believes the world of massage therapy has endless opportunities to grow herself and her career. She wants to be the best for her clients because they deserve the best. 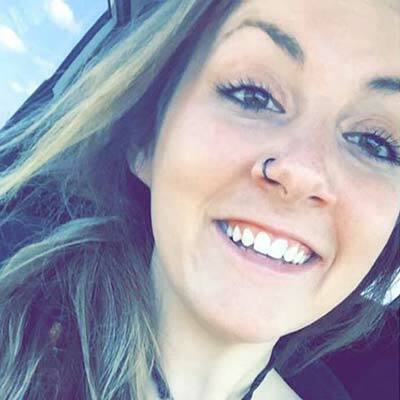 Regan is a chair massage therapist in Denver, CO.
Samantha graduated from the Colorado School of Healing Arts in 2016. She most enjoys working with clients who have specific pain and then working out a plan to keep it away long term. She also enjoys incorporating stretching into the massages to help flexibility and range of motion. Sasha attended the Berkana Institute of Massage Therapy in Denver, where she graduated as valedictorian in 2013. Her personal style of massage is an integrative blend of therapeutic treatment and relaxation; aimed at addressing the body as a whole rather than separate parts. Using her strong knowledge of anatomy and a wide range of pressure and depth, she fluidly transitions between different modalities including Swedish, Deep Tissue, Myofascial Release, Neuromuscular Therapy, and active and passive stretching techniques to create a massage that is both work of art and therapeutically effective. Whether you are seeking chronic pain relief, recovering from injury, or simply looking to relax she will create a unique session or treatment plan specifically tailored to your needs. Originally from Mpls, MN; she transplanted to the mountains near Aspen, CO in 2002 before relocating to Denver in 2014. When she is not practicing massage; you can find her enjoying the outdoors, going to live music or creating mixed media art and jewelry in her studio. Sherry was born in El Paso, TX and was about 3 years old when her family moved to Colorado. She spent her summers in Texas until she was a teenager. She graduated from Heritage College in May of 2003 with an Associates Degree of Occupational Studies in Therapeutic Masage. Sherry has been practicing massage for about 16 years. Being a massage therapist has brought so much joy in being able to help people rehabilitate and feel better. She also enjoys all of the wonderful people she has come to know being a massage therapist. During her time off, Sherry enjoys hanging out with her daughter, family, and friends. She tries to be a "go with the flow" type of person. Stephanie Agakian specializes in massage for conditions that affect the head, neck, shoulders, and back. As a long time sufferer of migrains, Stephanie wanted to use her skills to help other who also suffer from this debilitating condition. 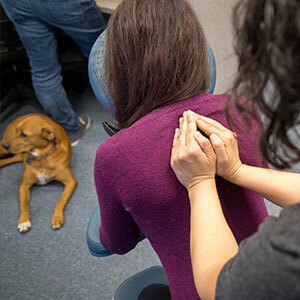 In addition to migraines, she helps those who have issues such as TMJD, Thoracic Outlet Syndrome, whiplash, chronic stress, and a variety of other issues. She is an intuitiveworker, who combines different styles of massage to create a custom experience for each individual client. Stephanie is a Colorado native, and active member of the Army Reserve, and a tennis fanatic. She has been practicing since 2013 and has been the winner of Best of Broomfield in the Massage category in 2015, 2016, and 2017. Stephen earned his massage certification at The Boulder School of Massage Therapy and has been practicing for a little more than 10 years. Continuing education is important to him, so he is continually learning new skills and deepening his knowledge of the human body. His primarily clientele is professional athletes, so if you are a professional dancer or amateur cyclist, he's got your back (or super tight hamstrings as the case may be), but he really does enjoy getting to work with people from all different fitness levels. Stephen has training and a passion for working with people with a wide range of medical conditions and injuries, as well as, from knee repairs to MS, so expect a judgment-free massage tailored to your specific needs. Typically, his clients see him with a specific issue they would like help with, so deep tissue is what he practices most, but he feels fluidity and relaxing massage techniques mixed in with the deeper work is most effective. He is not, however, well-trained in energy work. Stephen respects reiki, reflexology, and shiatsu, but he doesn't have a particular talent for these modalities or much training in them. Stormy fell in love with massage therapy when she decided to change careers and go back to school to become an LMT two years ago. Most of her career prior to that has been either in the corporate world or doing some form of desk job. She understands what it is like to work in these positions, which is why she has a passion for corporate chair massage. Stormy also enjoys performing chair massage for different events, as she loves meeting new people and enjoys a constant change of scenery. In addition to chair massage, she is trained in Swedish, deep tissue, prenatal, neuromuscular techniques, and sports massage. For the past five years of Tesla’s massage therapy career she has developed a strong intuition for the human body through personal struggles presenting themselves, seeking natural healthy ways to deal with these struggles and implementing them in life so positive change can emerge. 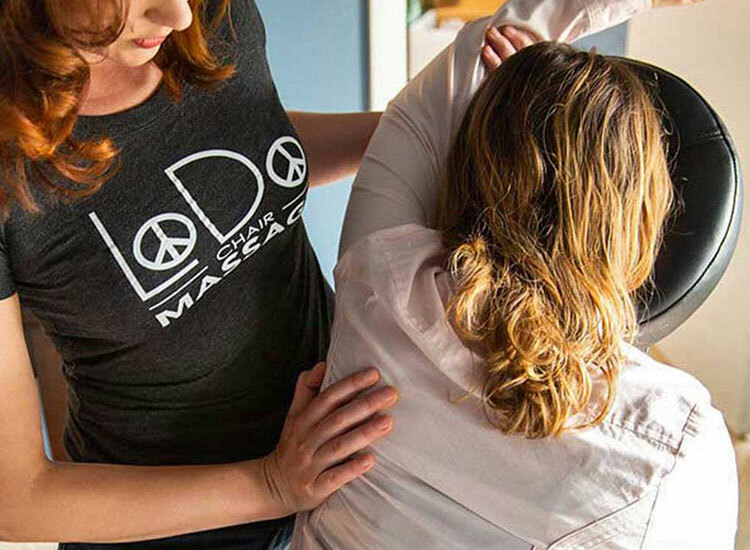 Tesla has studied under some of Denver’s most highly qualified professionals at Massage Therapy Institute of Colorado and continues to work with healers of many types to provide a holistic approach to caring for the body. Massage Therapy has been much more than a luxury for her, it has been a means of expression, a necessity, and a way of life. It’s far too easy to get wrapped up in our busy modern world, and we easily forget that taking care of our body and mind should be above all. She seeks to co-create a treatment plan so that all of her client’s goals for receiving massage can be met. After several sessions, she can identify massage techniques that will be beneficial to accomplishing your goals and discuss self care methods so that you receive the most from every massage session. Over time she truly hopes to guide each person into being more present with themselves, so that life’s journey can be much more fulfilling. She is dedicated to helping individuals get their bodies back to a natural stress-free and pain-free state. Tesla specializes in DEEP TISSUE, THAI, STRUCTURAL INTEGRATION, NEUROMUSCULAR THERAPY AND MANY OTHER FASCINATING MASSAGE THERAPY TECHNIQUES. When she is not healing her fellow Earth-dwellers, Tesla loves going to music festivals, crafting, and practicing yoga. Since becoming a massage practitioner, yoga has been one of her best tools for learning to take moments to detach from the stress of the world. It also keeps her intuition fine-tuned, and shows her that when the body and mind connect, a person can experience amazing healing. 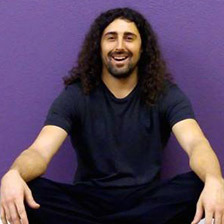 Zach is a chair massage therapist in Denver, CO.